Submitted by lynn on Friday, June 2, 2017 - 12:34pm. We had been eyeing the surf and turf fries on the menu and were delighted that it was the first item served! Crispy seasoned fries interspersed with tender flavorful 100% Angus beef and nicely seared shrimp made for a great base layer. In addition, the portions of guac and cheese toppings were quite generous. All this was just under ten bucks, enough to feed two people without breaking the bank! 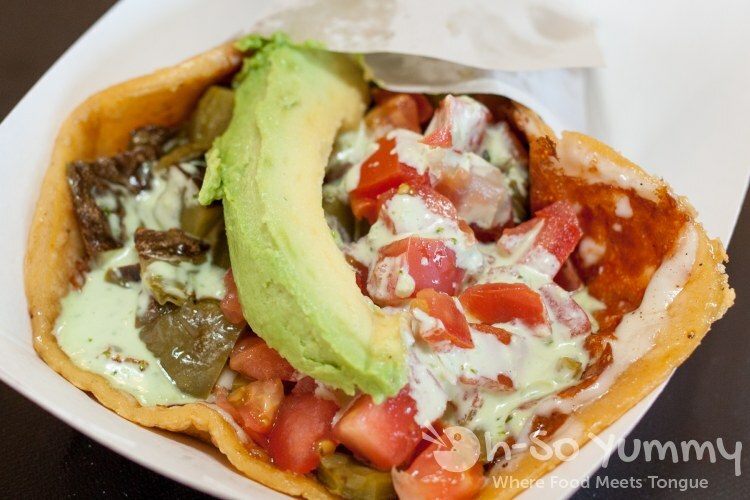 The Carne Asada and the Sonora tacos were very similar, with the latter adding melted cheese and beans. 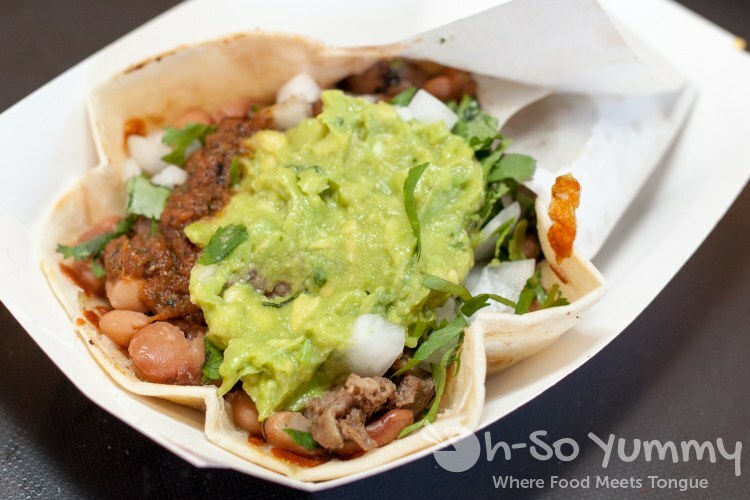 We were amazed that this carne asada meat was so tender, especially since this meat tends to be chewy at other places. The wrapping style helped give access to the yummy taco fillings but the paper itself ripped apart if soaked in juices too long. I accidentally ate parts of the paper here and there because I was ravenous and not too careful at first! 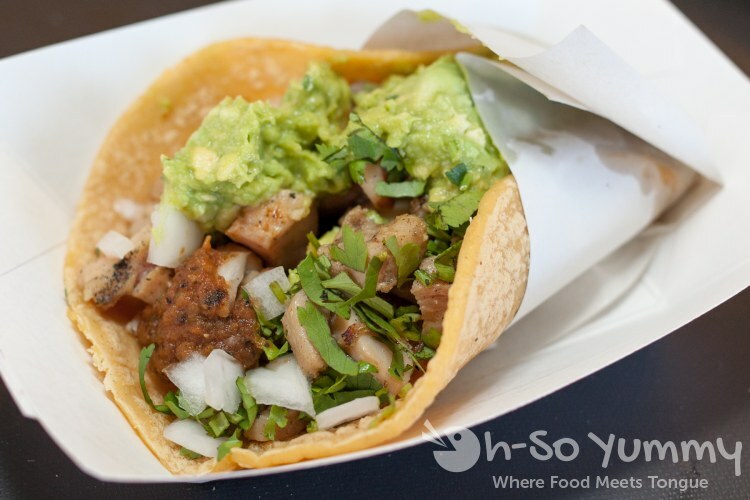 We also enjoyed the grilled cubes of moist dark chicken in the pollo asada taco. The rest of the ingredients mirrored the carne asada tacos. 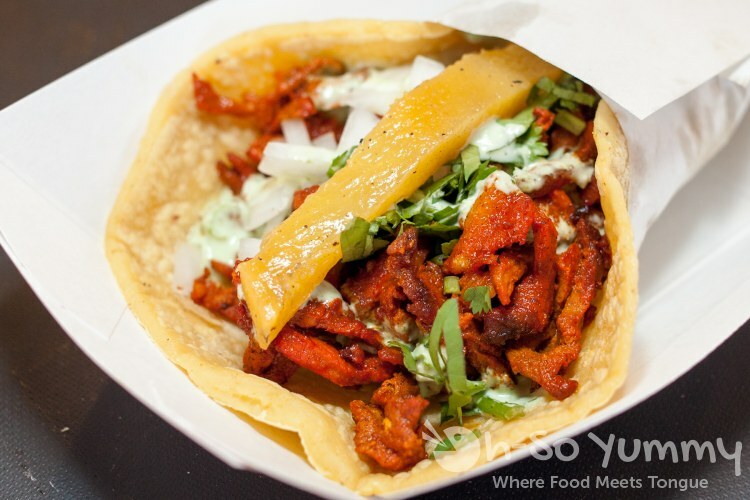 One of my favorite taco meats is the savory al pastor. The sweet grilled pineapple always melds well with the seasoned meat and I can hardly wait for the next bite! 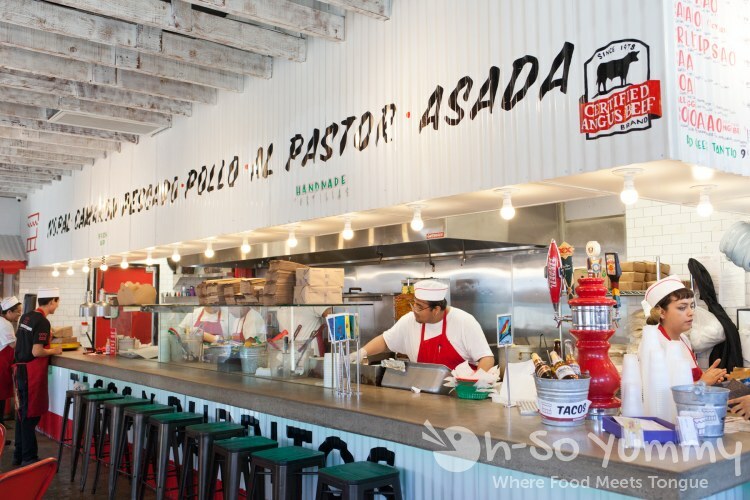 I especially loved seeing them slice that meat directly from the glistening roasting spit before incorporating into my tacos. This version of cactus was less slimey than other versions we've had but still unconvincing for us meat lovers. The grilled cheese portion (similar to a queso taco) gave me a little more reason to munch onward. 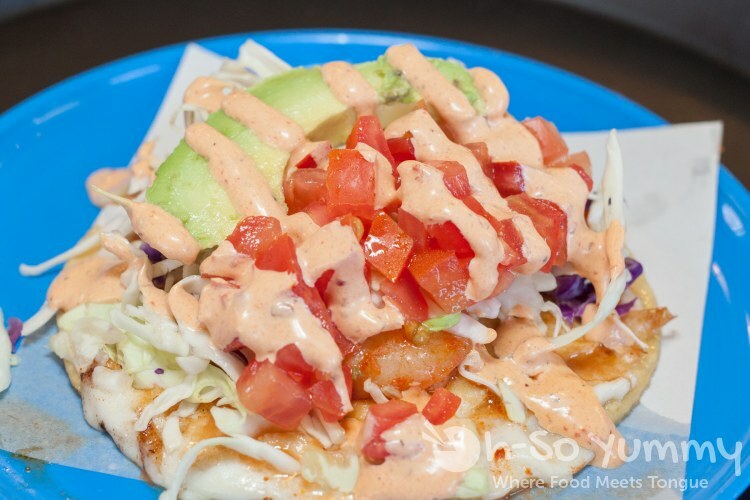 We moved on the some seafood tacos next. The hidden shrimp was the same as was on the surf and turf fries but didn't seem to mesh as well in taco form. On the other hand, the hearty flakey piece of fish was portioned well on the softer corn tortilla. The sauce on top had a hint of spice and the spread of cabbage was just the right amount. 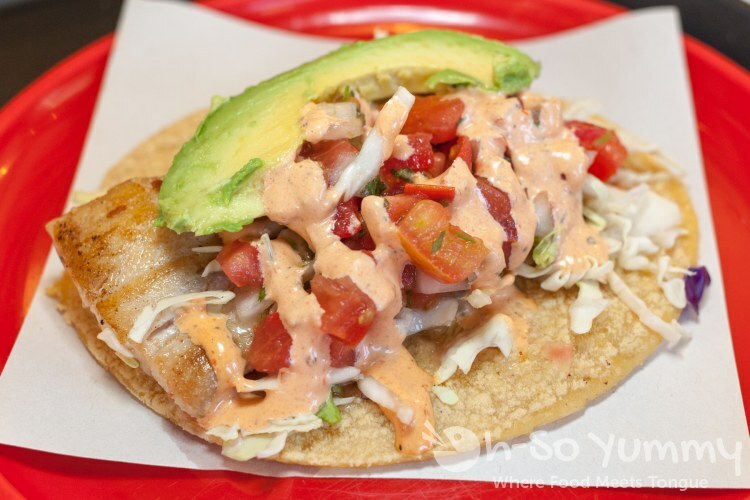 There's also the option of a grilled fish taco instead of the battered one. For those of you who love adding a little more kick or flavor to your tacos, there's a small salsa bar in the back of the restaurant. Dennis grabbed a few flavors to sample but I prefer to eat my tacos exactly as they come. We also had one small side with our meal. 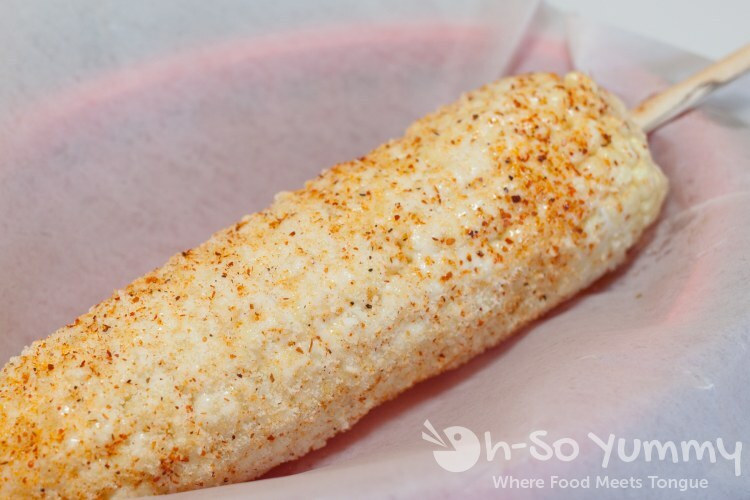 Tajin usually turns me off but not when it is paired with a salt-friendly food like corn. These kernals were fresh and popping plus I just love gnawing on cobs row by row (my special way of eating them). Dennis mentioned there was a pungent smell from the cojita cheese but I didn't really notice. I'm not kidding when I say we felt like we had attended ANOTHER Tacotopia at the end of this meal... we were so stuffed! Despite that, we couldn't resist trying the handmade paletas (Mexican fresh-fruit ices), which we heard was made at the downtown location. 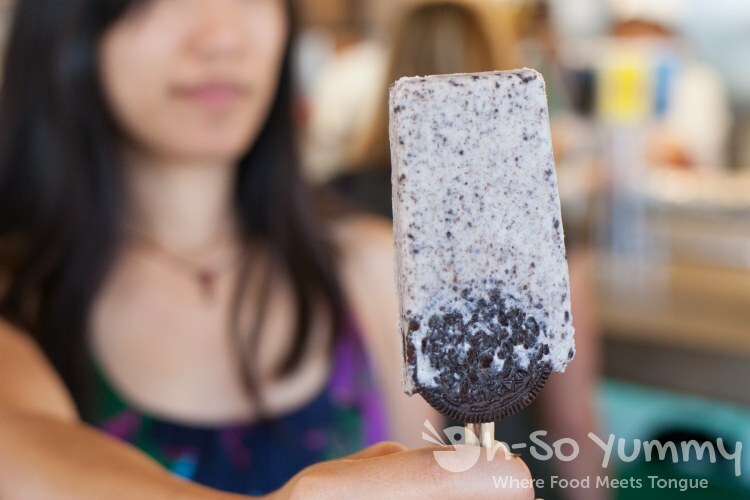 This creamy pop tasted like a delicious cold Oreo on a stick and made its way into our dessert stomach. This addition was well worth the splurge for us on that hot day! Thanks to Alex for giving us a well rounded sampling of the menu but for sure, we will cut back on our next visit! 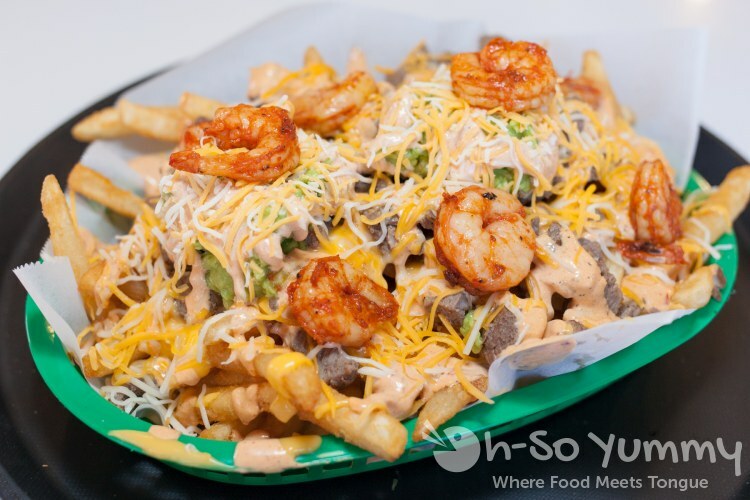 I'm craving that surf and turf fries and we'd probably only add one or two tacos to finish up our order. Burritos will be next on our list to try! Good looking tacos! I like the carne asada taco at the La Jolla location. 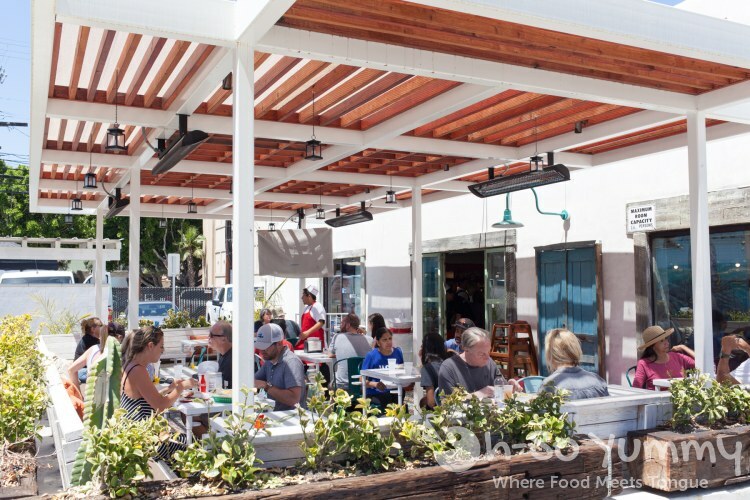 The La Jolla location is much closer than Encinitas! I want those fries again!